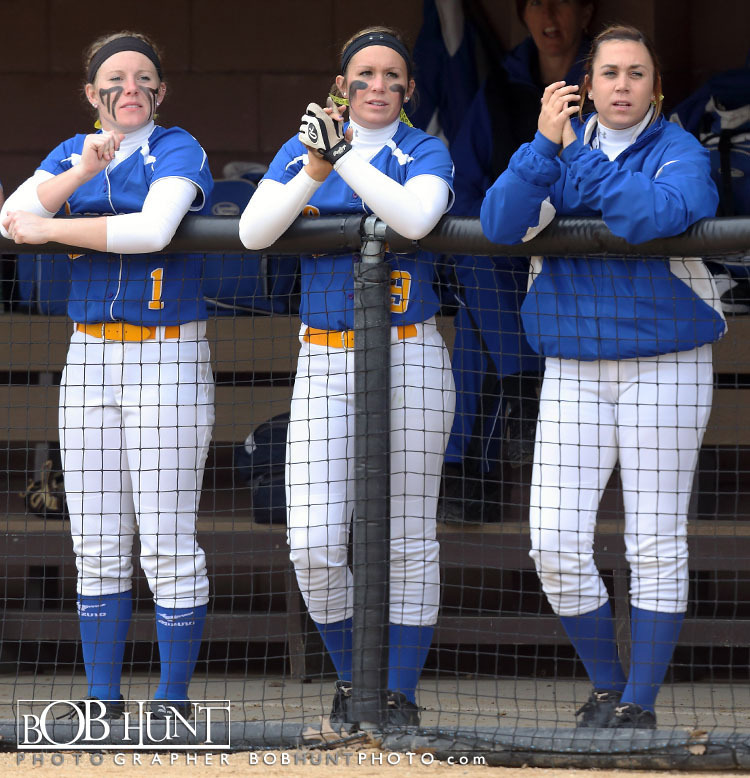 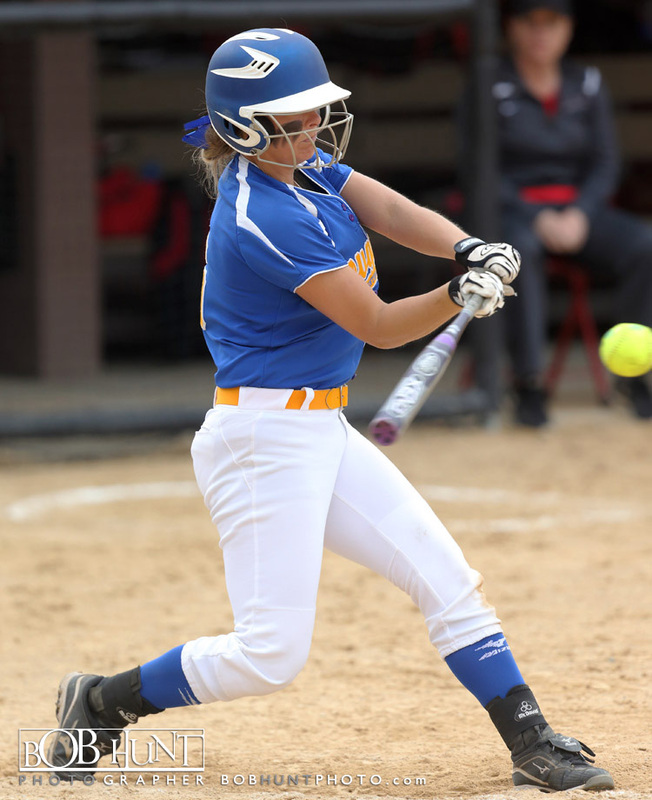 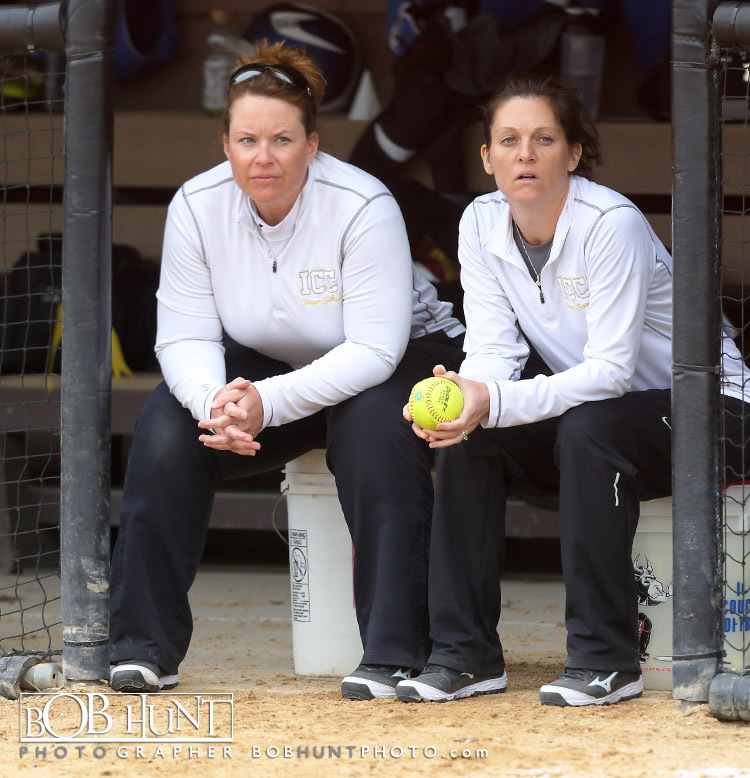 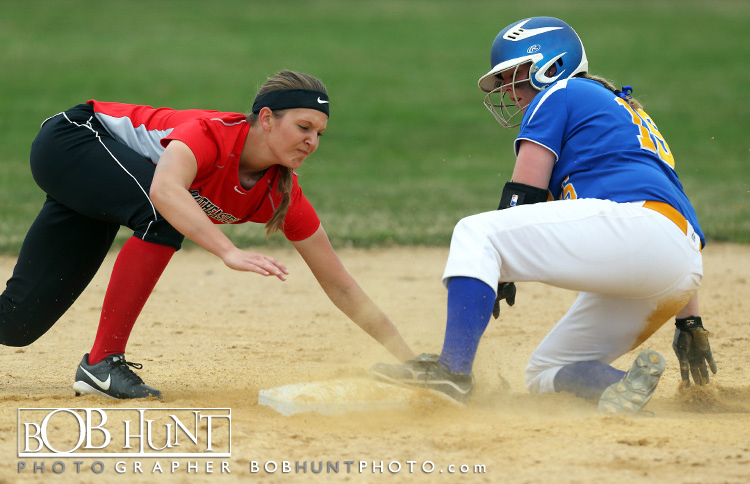 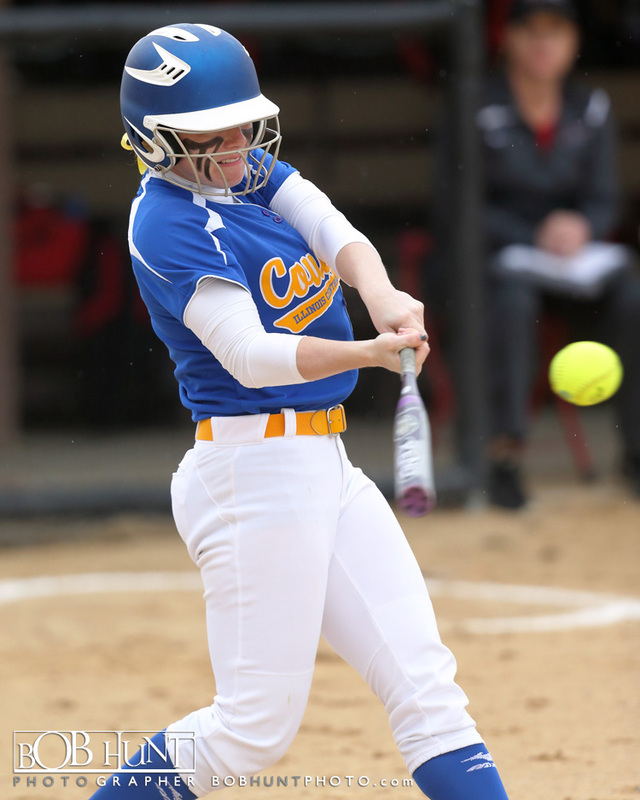 The Illinois Central College softball team put on a hitting clinic beating Southeastern Iowa CC 10-2 in five innings in East Peoria, IL Thursday afternoon. 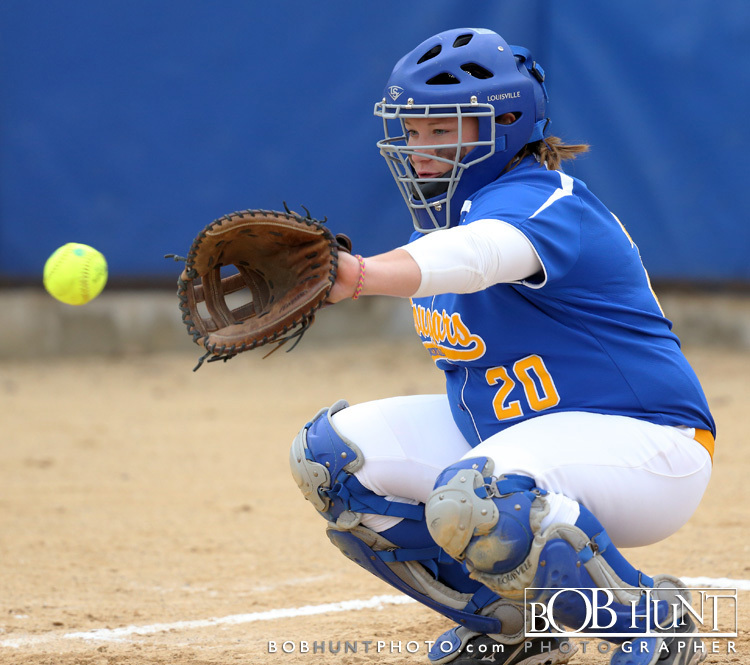 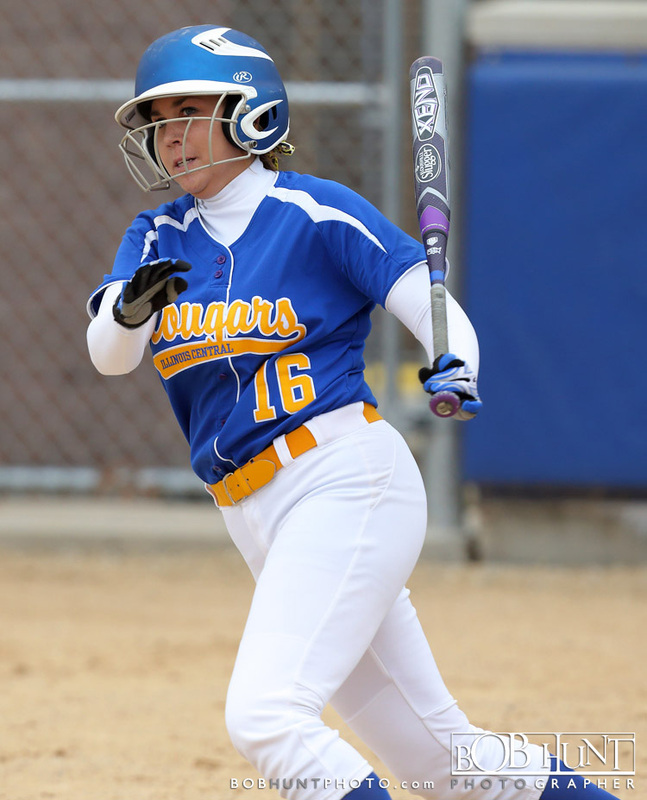 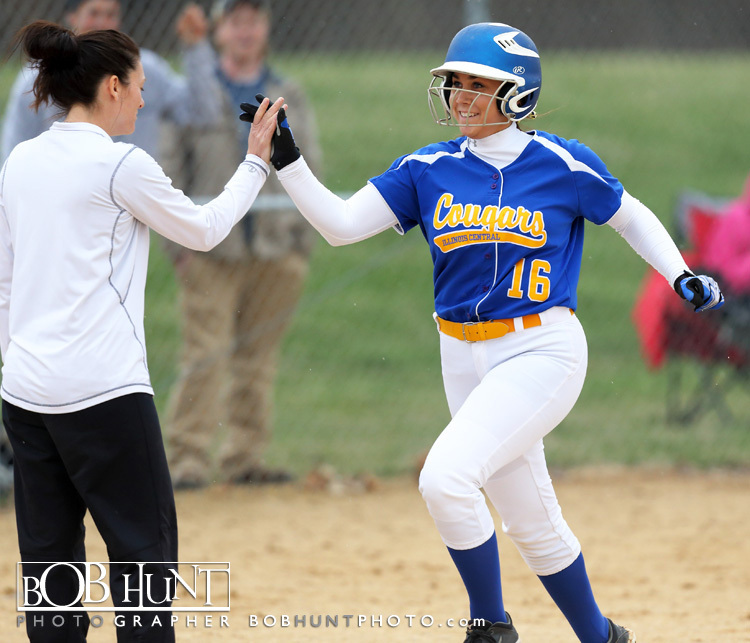 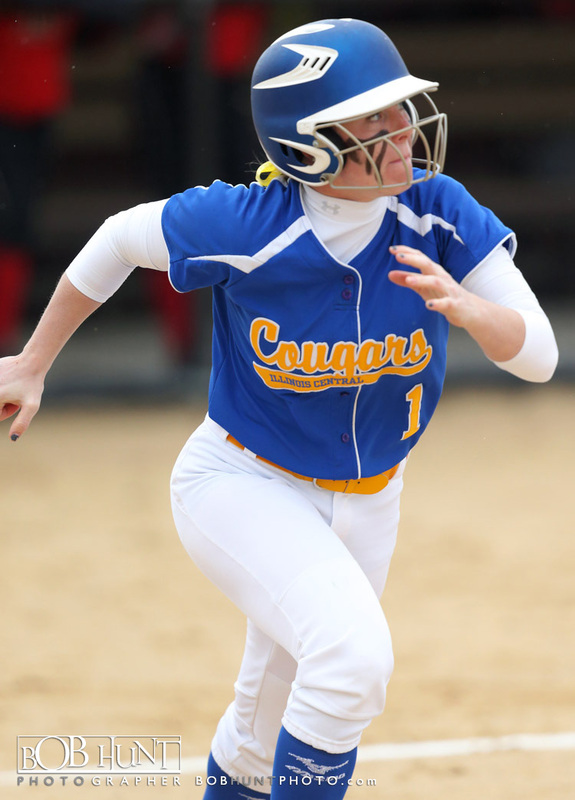 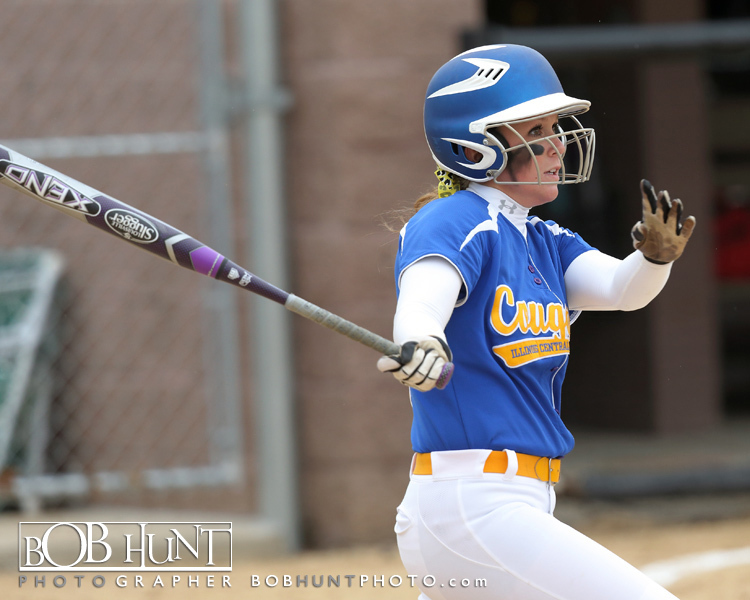 The lady Cougars were led by freshman Erica Phillips with three hits including a home-run, along with two hits each by sophomores Sam Gudat and catcher Dani Smith. 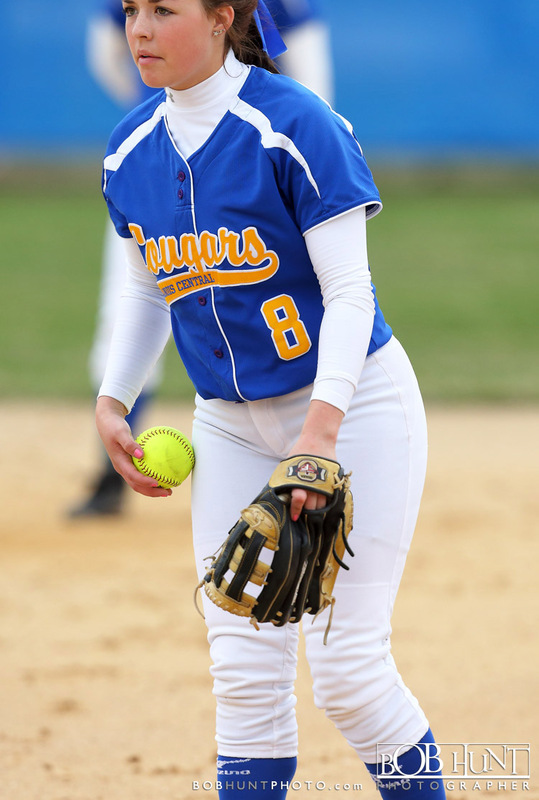 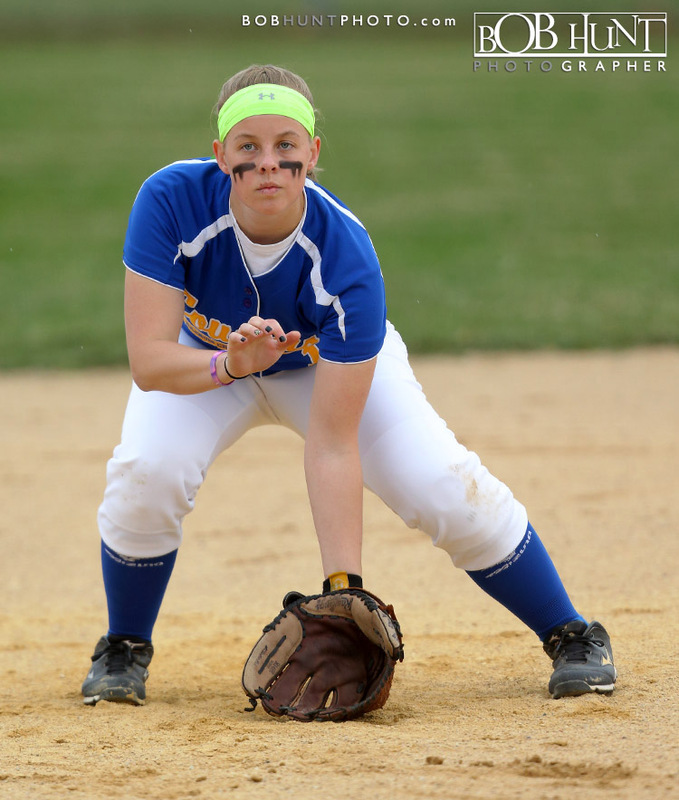 Freshman pitcher Rachel Patterson (6-4) from Tremont High School held the lady Blackhawks to two runs. 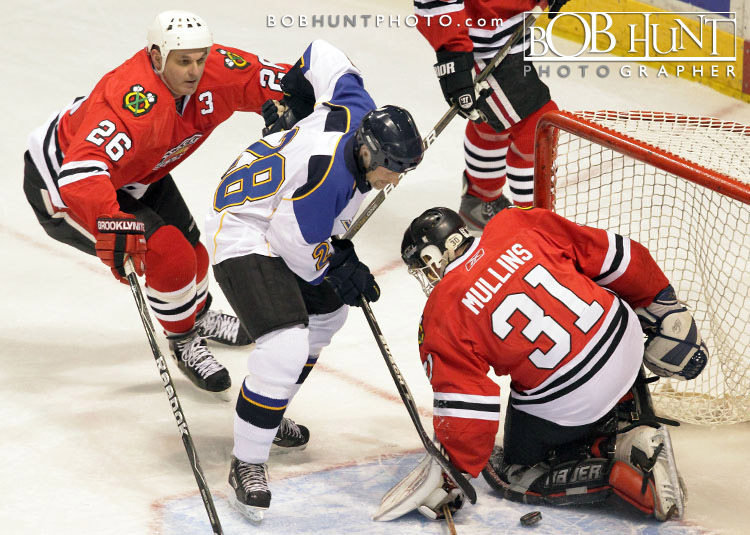 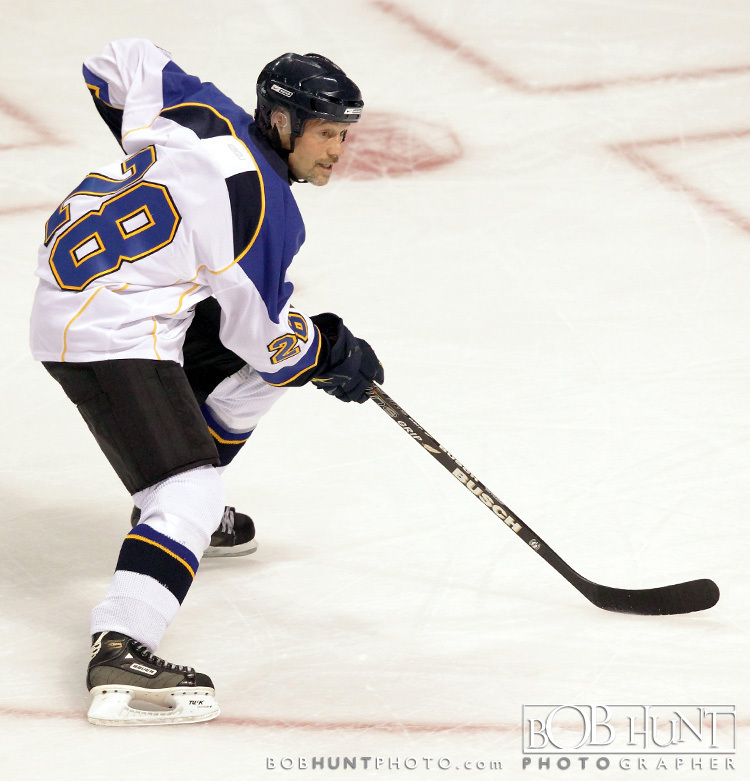 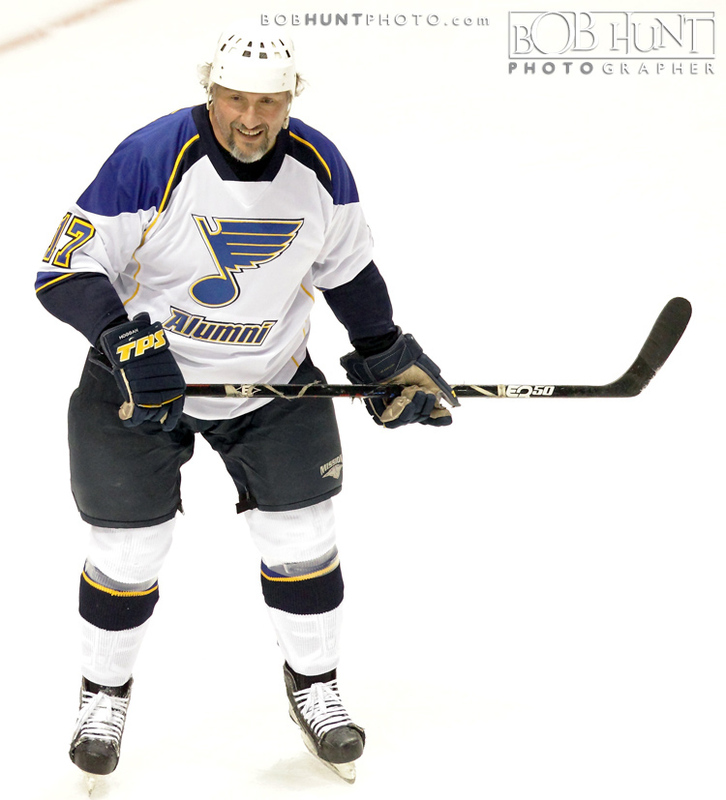 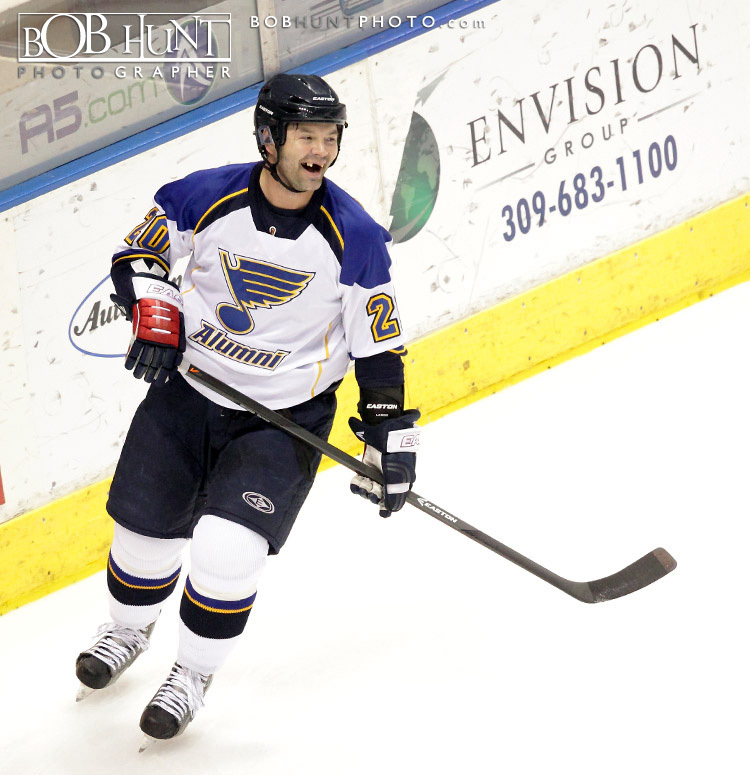 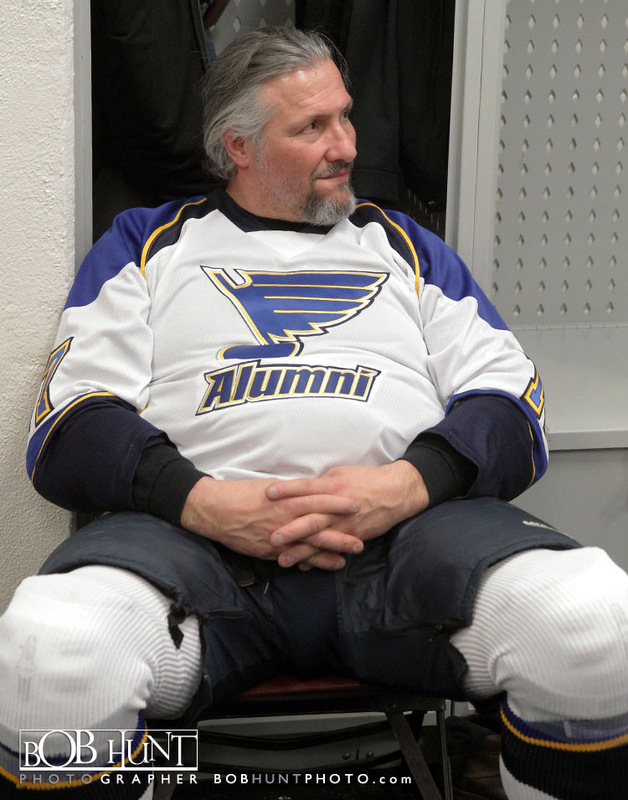 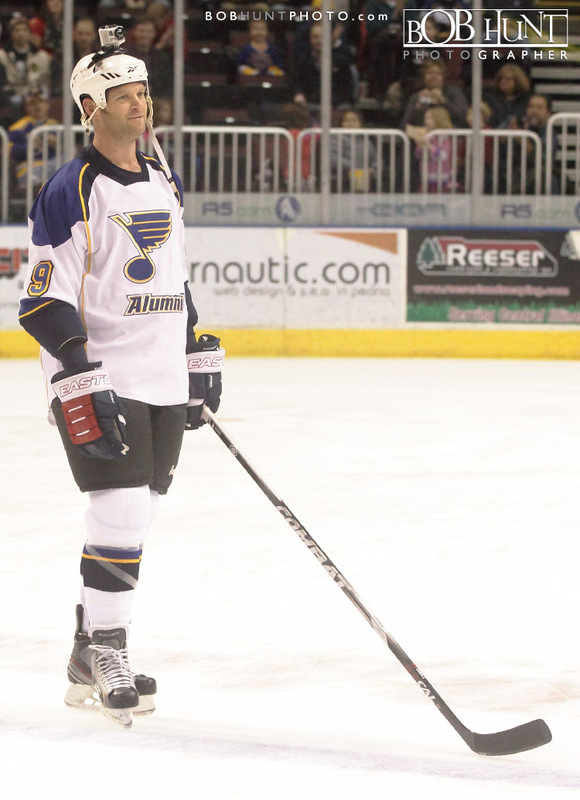 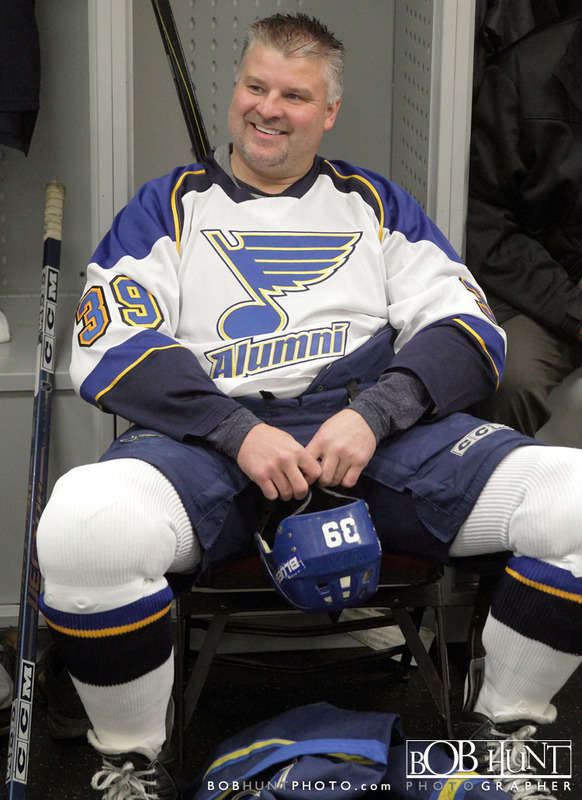 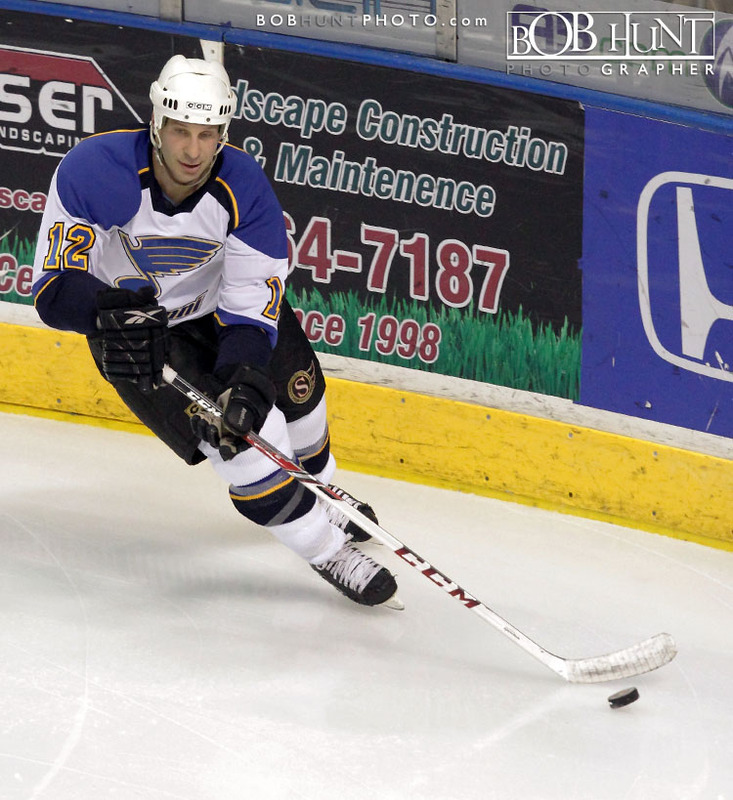 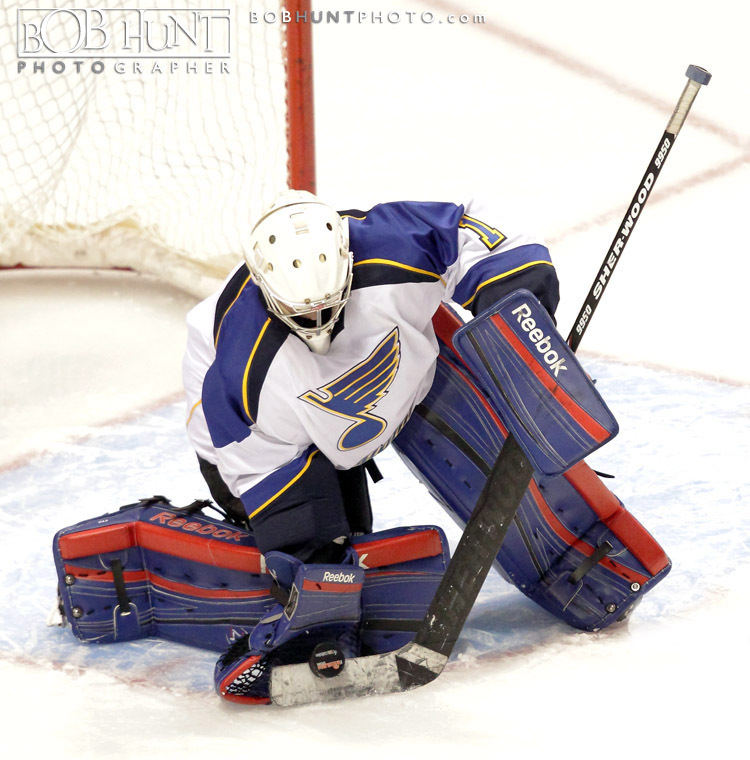 Gino Cavallini scored what proved to be the game-winning goal for the St. Louis Blues alumni to post a 10-9 victory over the Chicago Blackhawks at Carver Arena Wednesday evening before a estimated crowd of 4,500 fans. 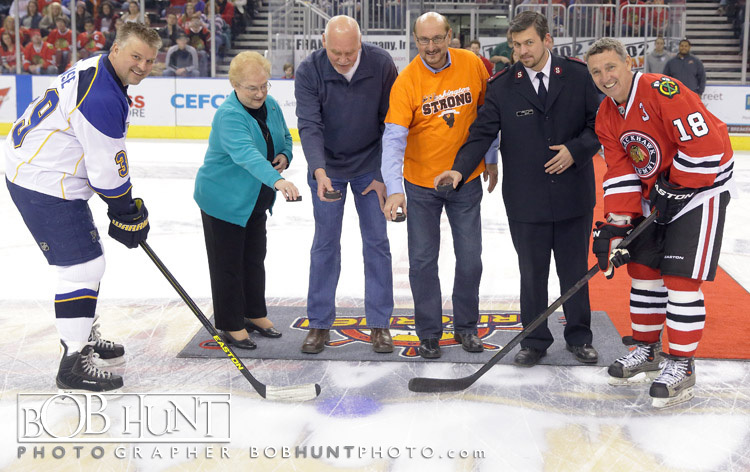 The game was fundraiser to benefit the victims of the EF-4 tornado that devastated Washington and other central Illinois communities November 17, 2013. 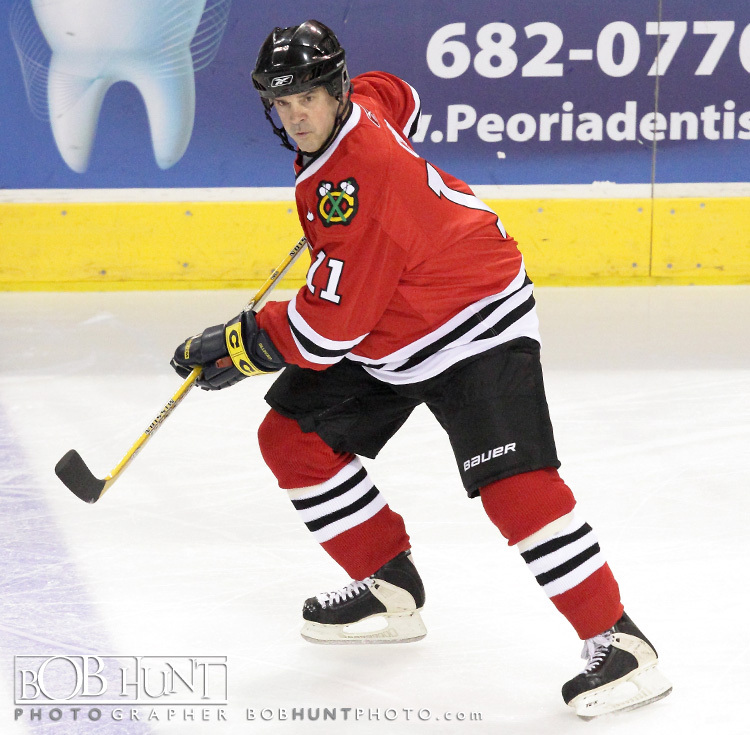 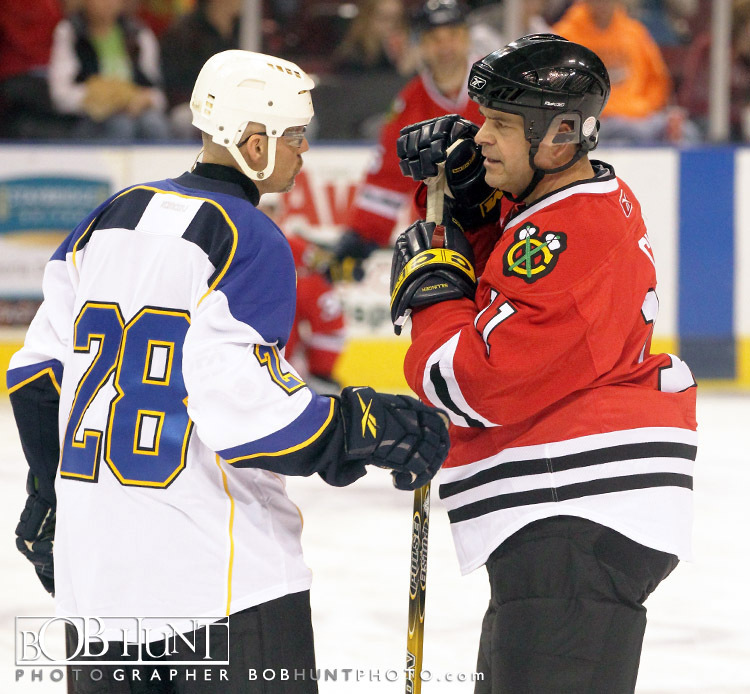 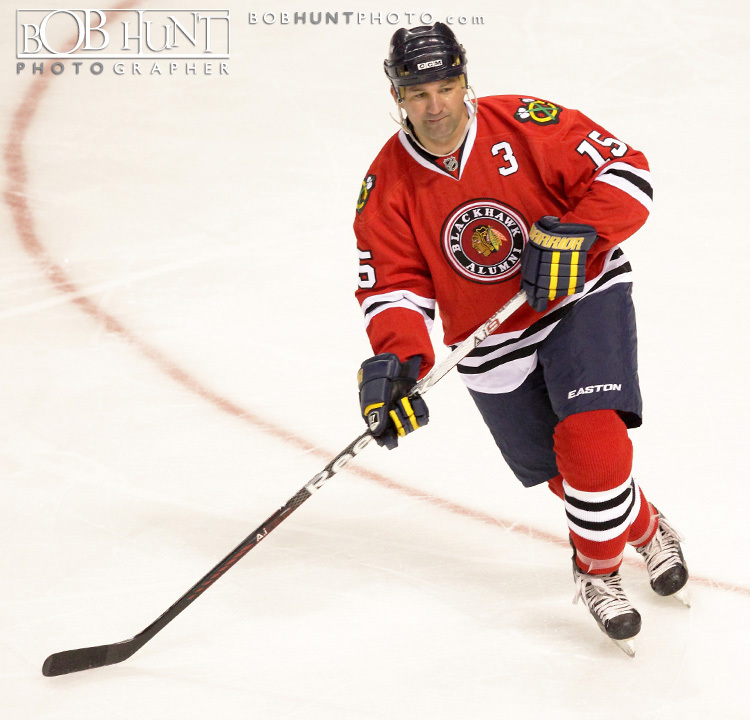 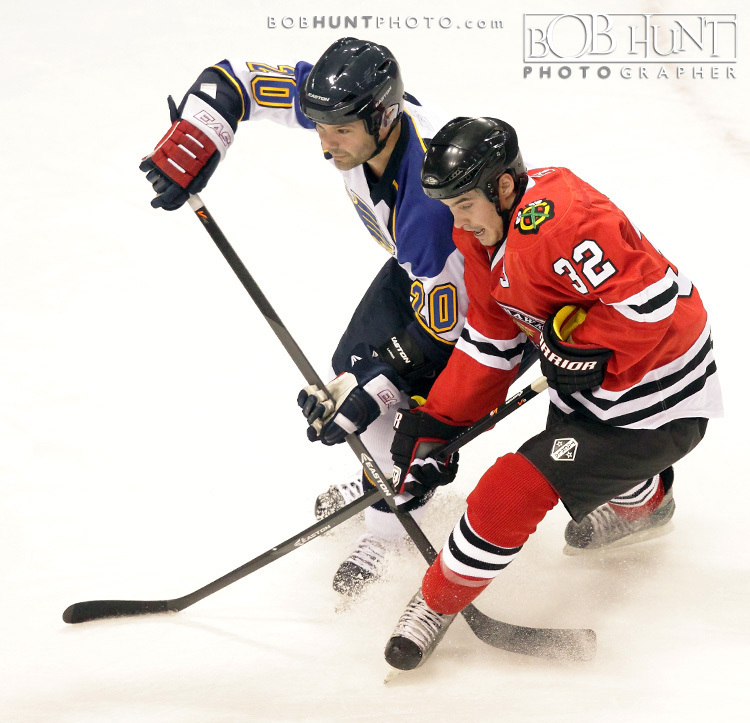 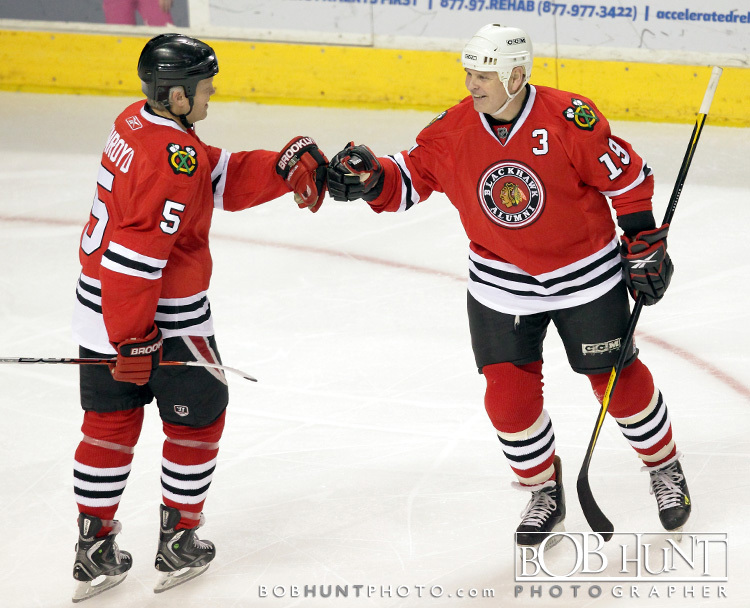 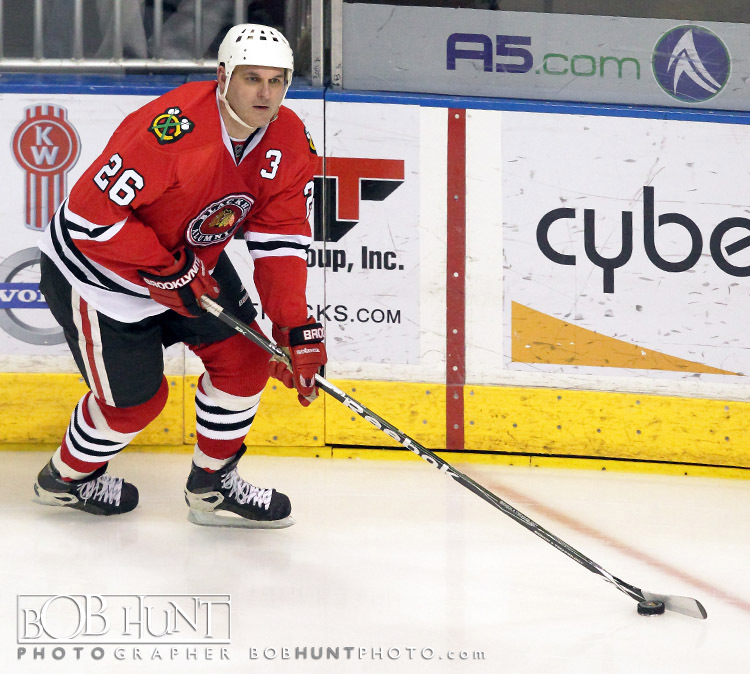 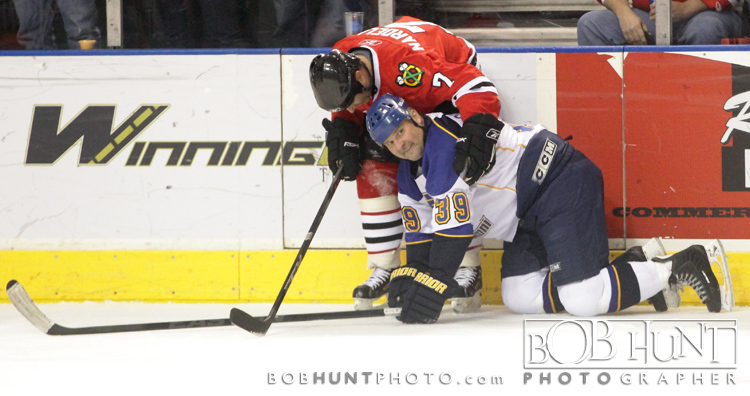 Event organizer Denis Cyr, the former Peoria Rivermen, St. Louis Blues and Chicago Blackhawks winger, reunited on a line with Denis Savard for the first time since their NHL days together 30 years ago. 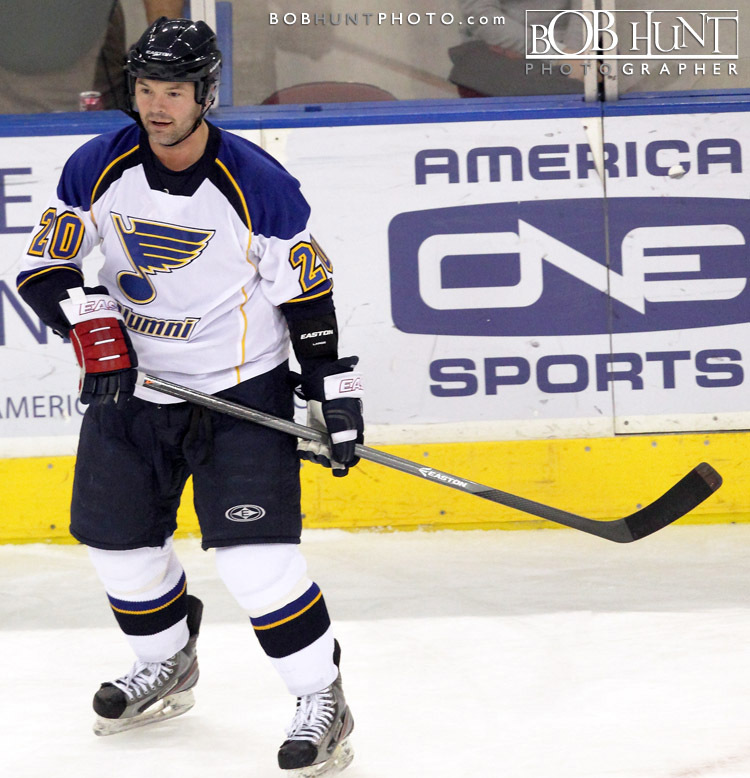 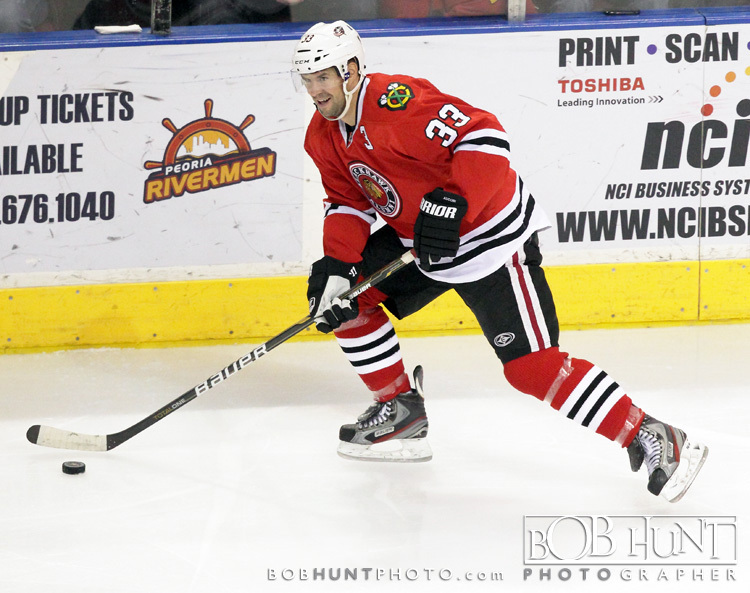 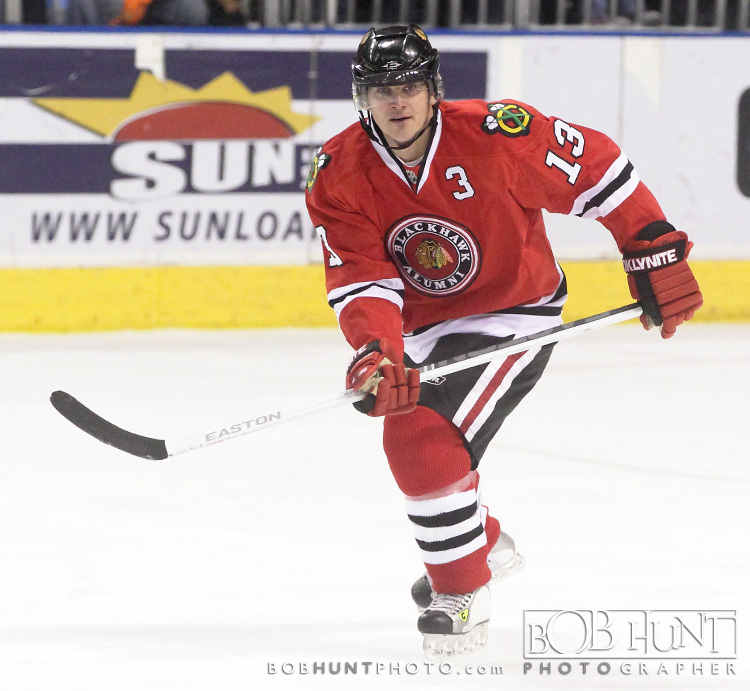 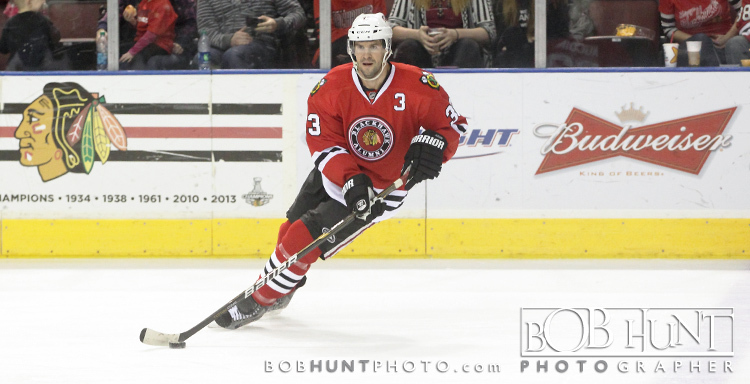 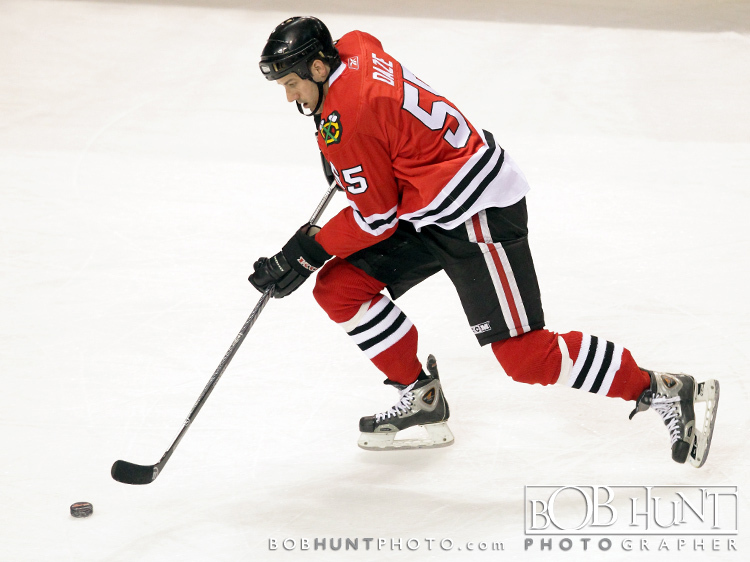 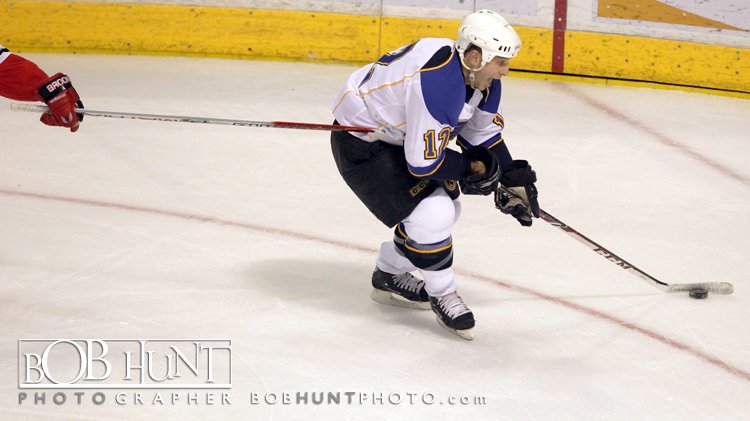 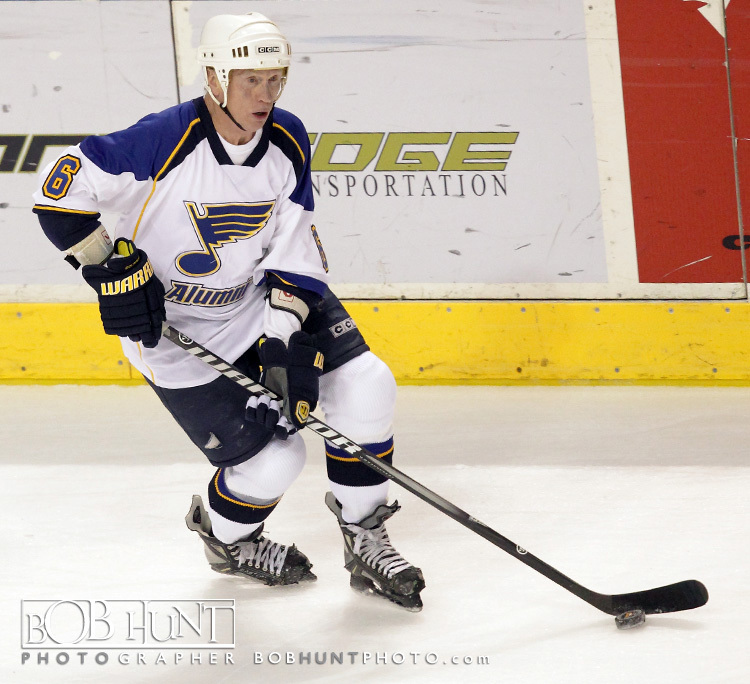 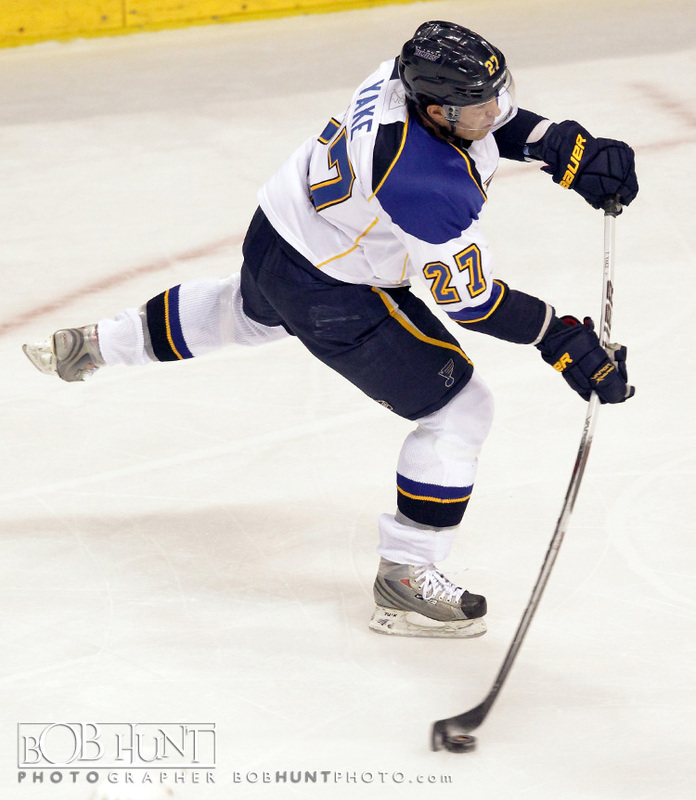 Terry Yake had a hat trick for the Blues and Eric Daze contributed a hat trick for the Blackhawks. 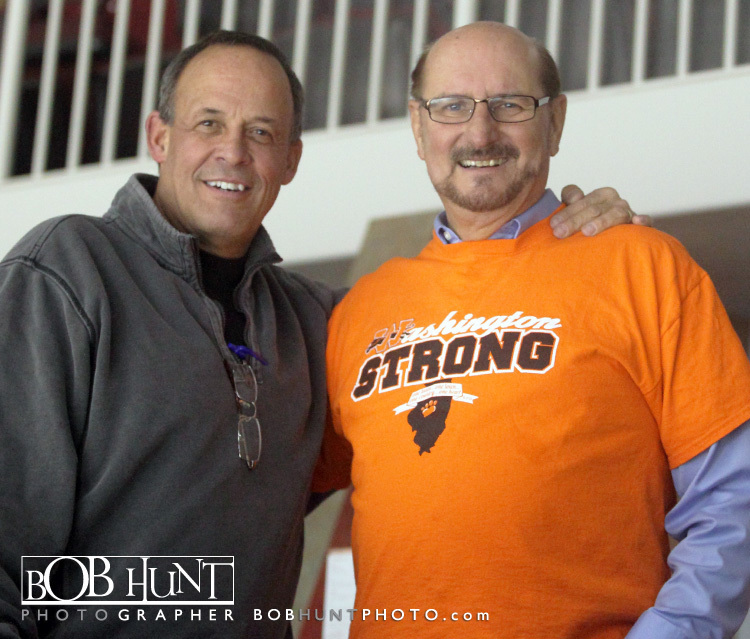 If you would like to contribute to the victims visit there web-site Skate Strong Hockey. 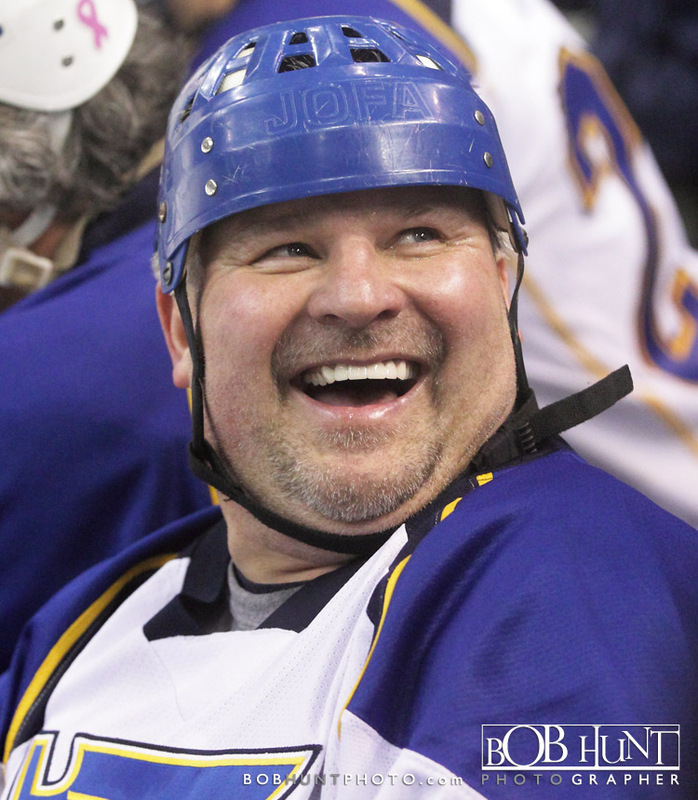 Early reports are that the night raised $ 50,000. 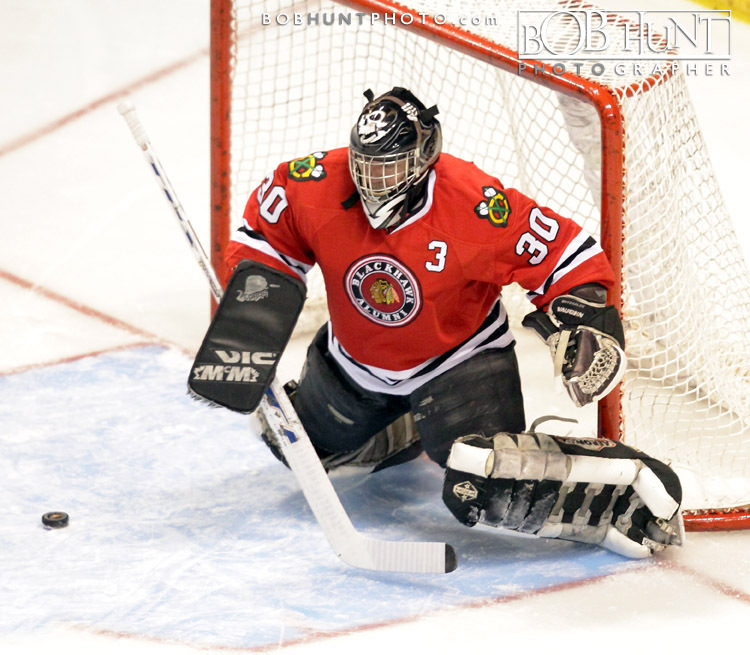 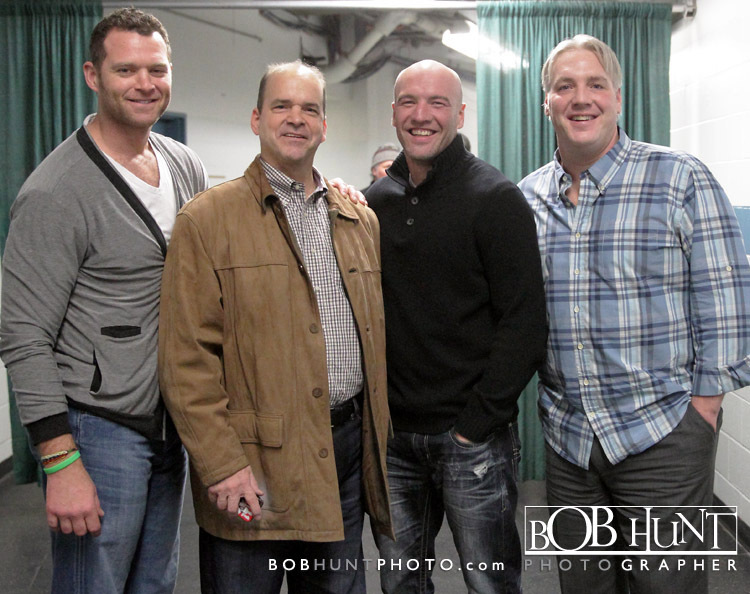 I want to personally thank Denis Cyr for trusting me to photograph this awesome night. 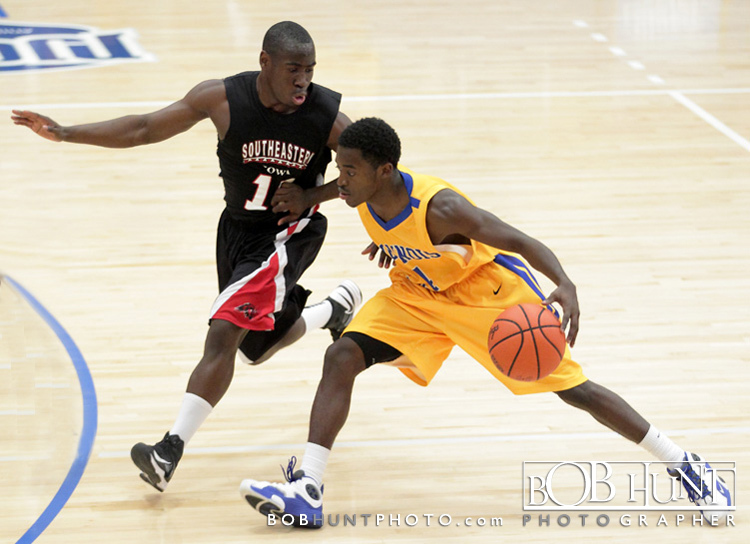 I hope everyone is happy with my images. 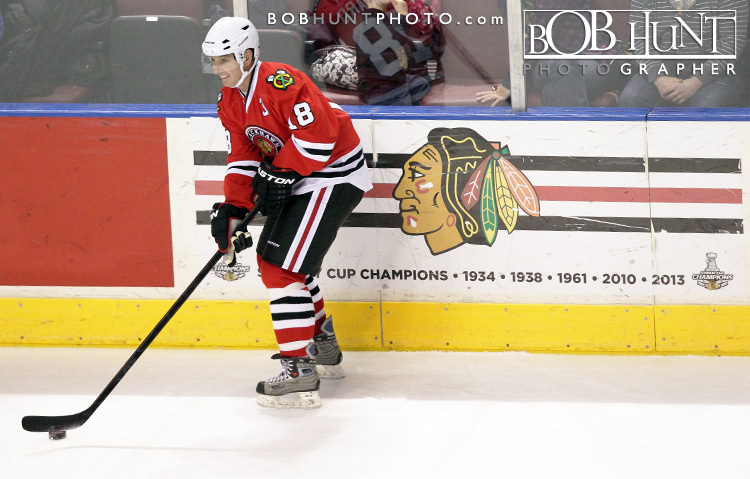 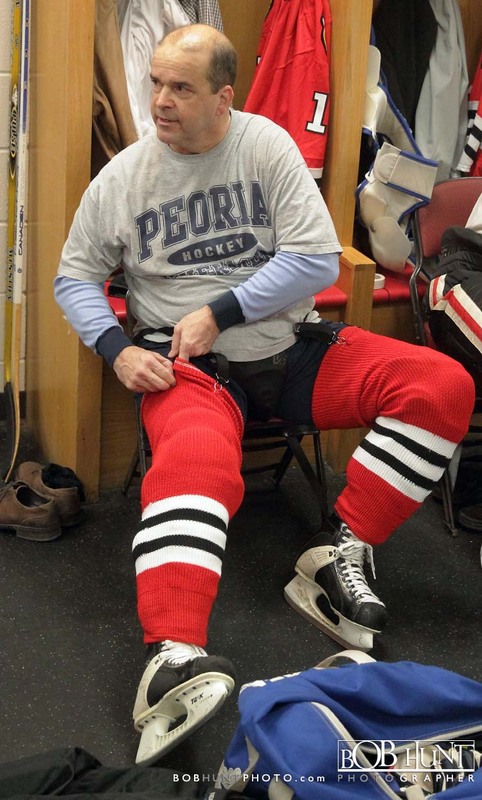 Reunions and sharing stories of there glory days in professional hockey were prevalent in the locker rooms at the Peoria Civic Center Wednesday evening. 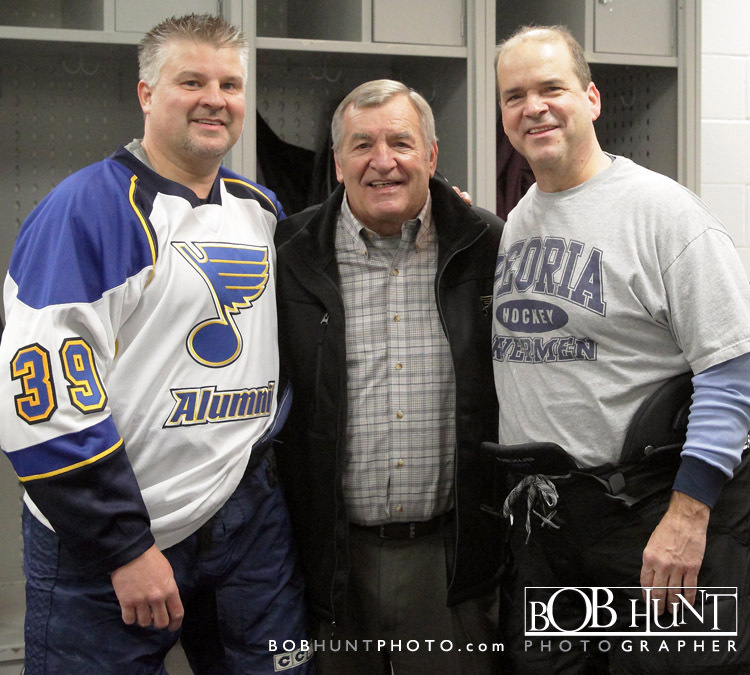 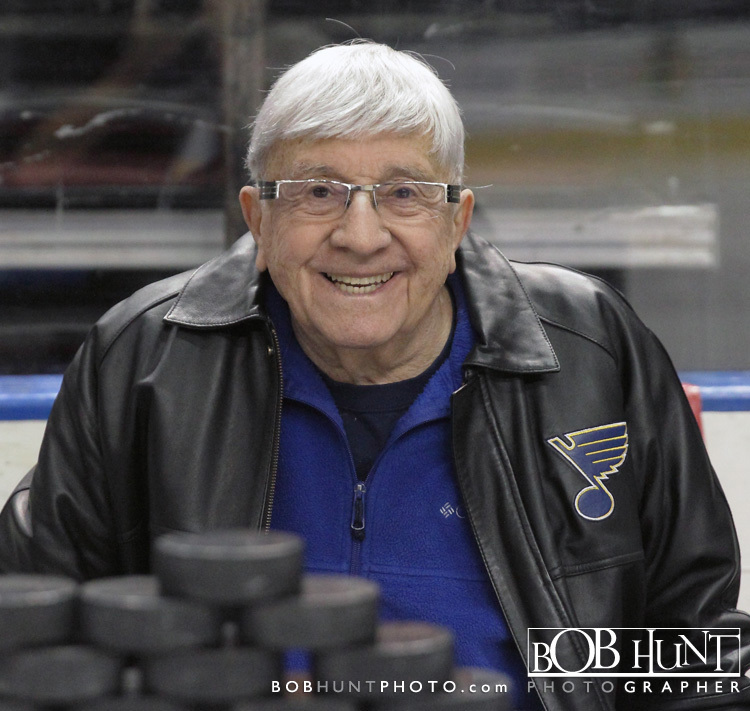 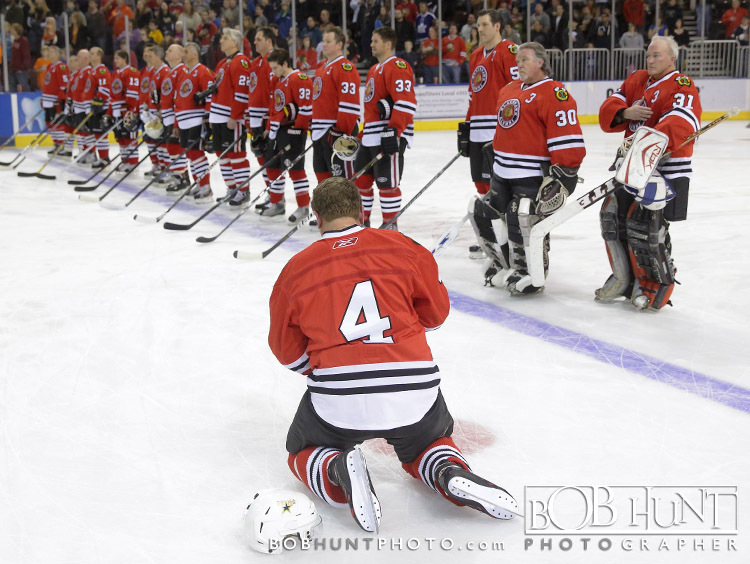 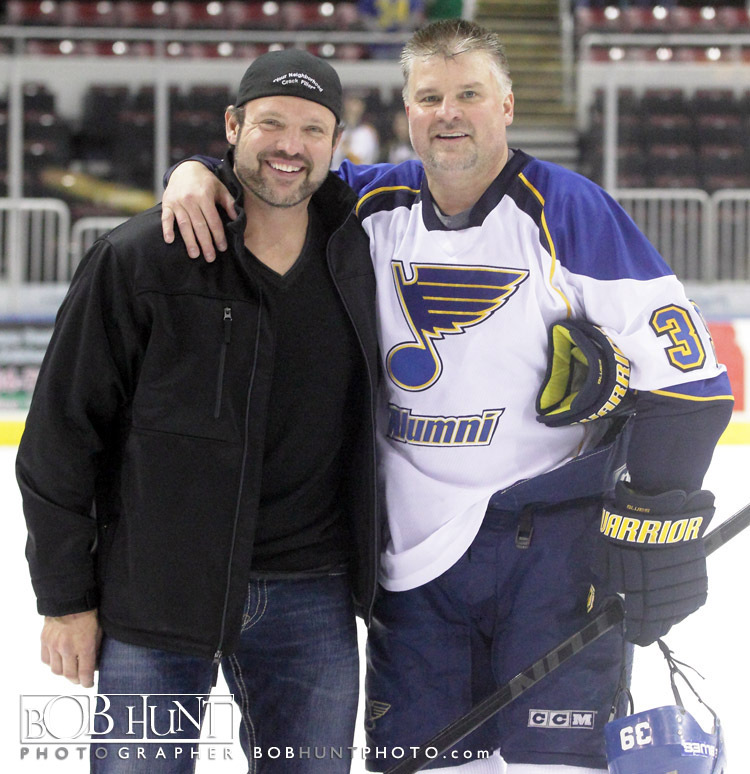 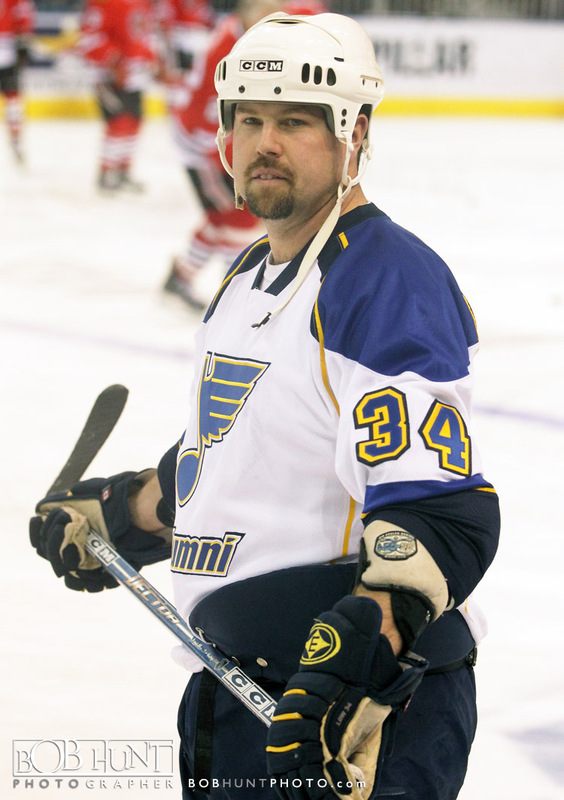 Players and coaches from the St. Louis Blues alumni team and there rival Chicago Blackhawks gathered to reminisce and renew fellowship in order to raise money for tornado relief victims in the tri-county area. 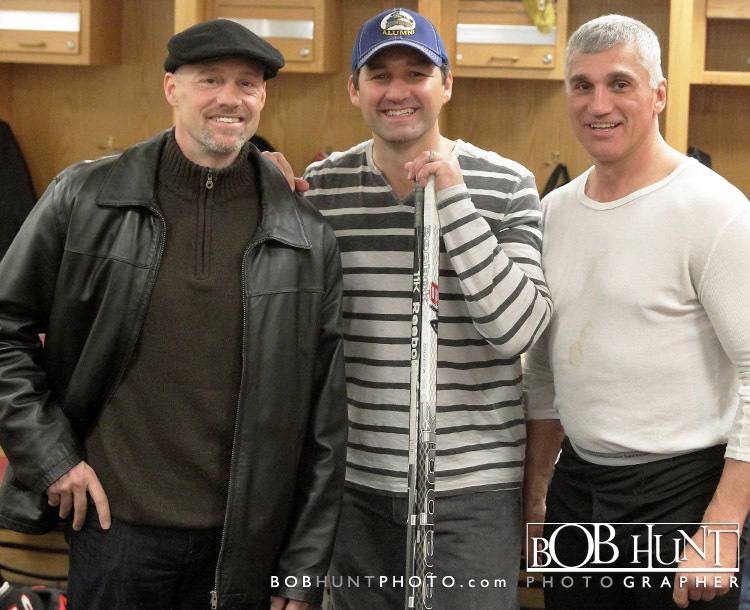 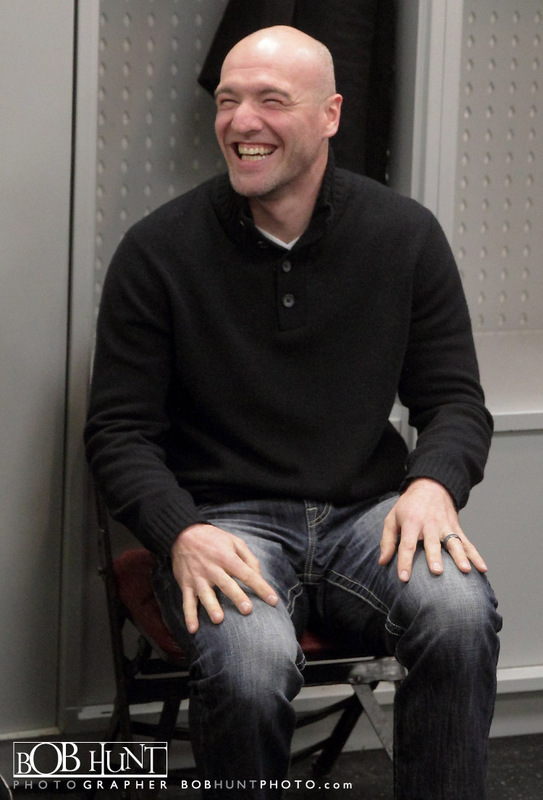 Some locker room and pre-game photo’s of the people who made this event possible. 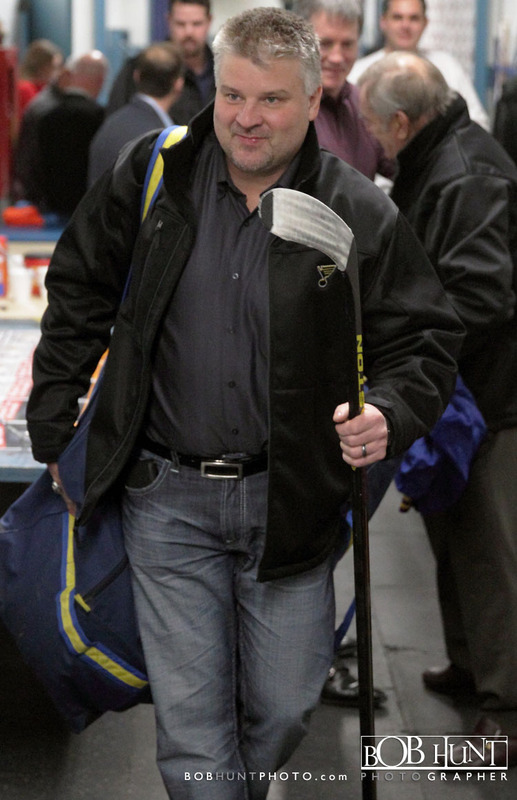 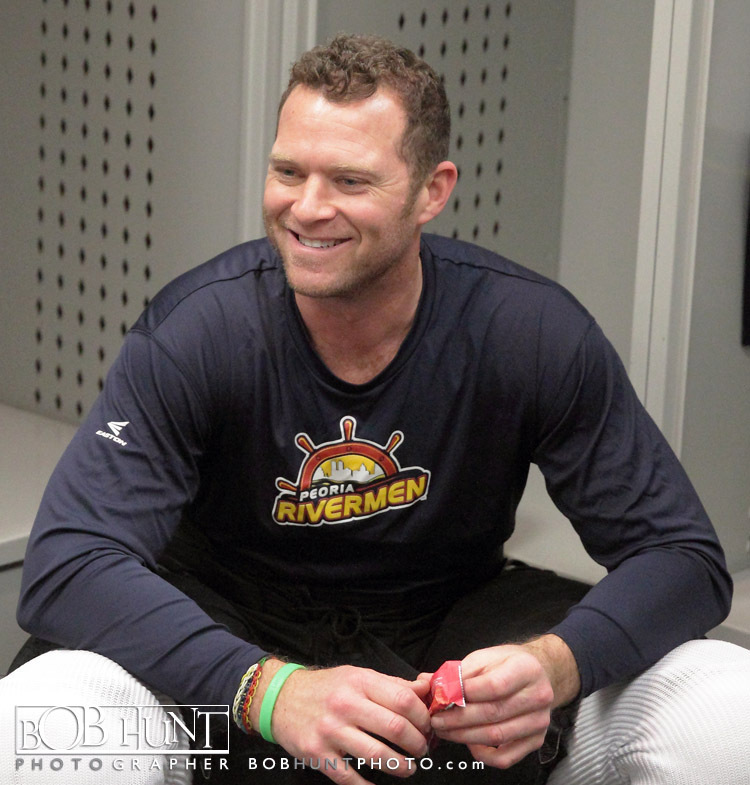 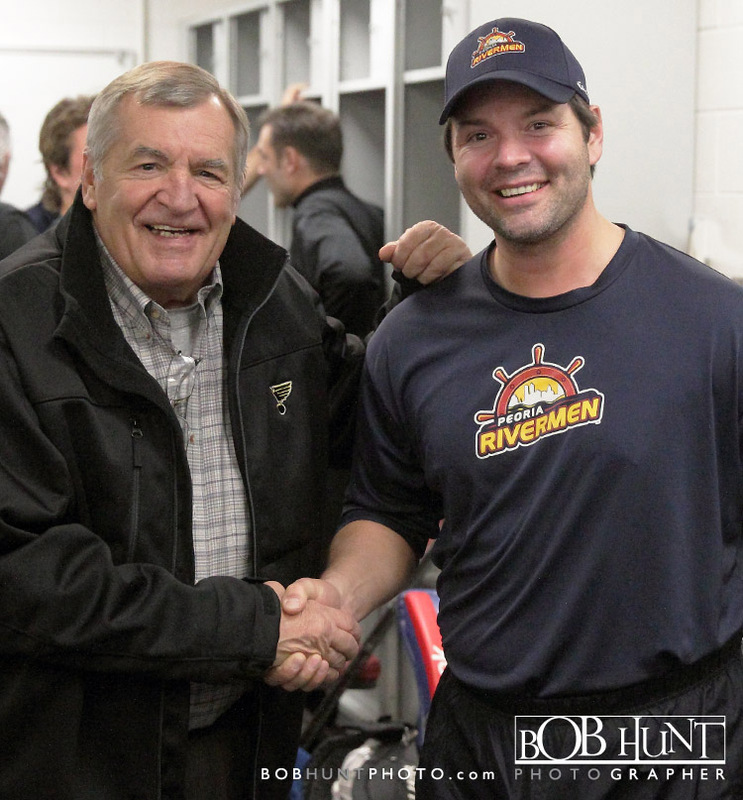 The idea for the event was engineered by former Peoria Rivermen HOF’er Denis Cyr. 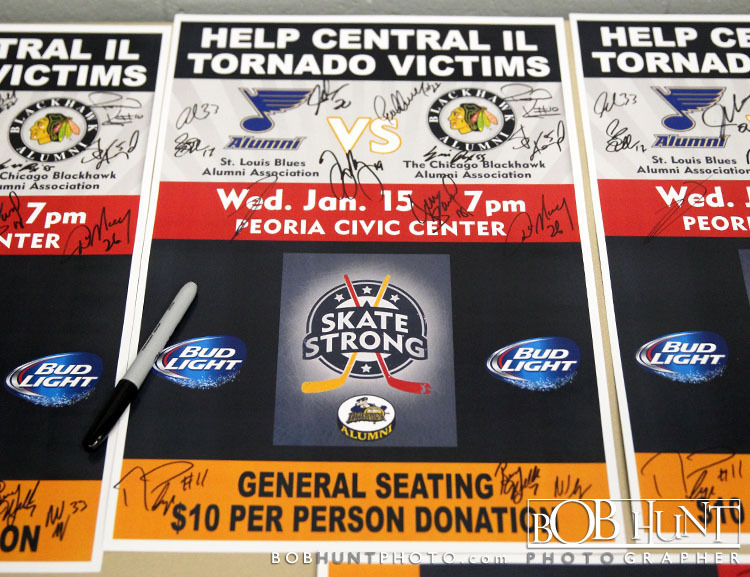 A web-site was established so fans can continue to donate and help raise funds to benefit those who were affected by the November 17, 2013 EF-4 tornado that sweep through central Illinois and devastated Washington and surrounding communities. 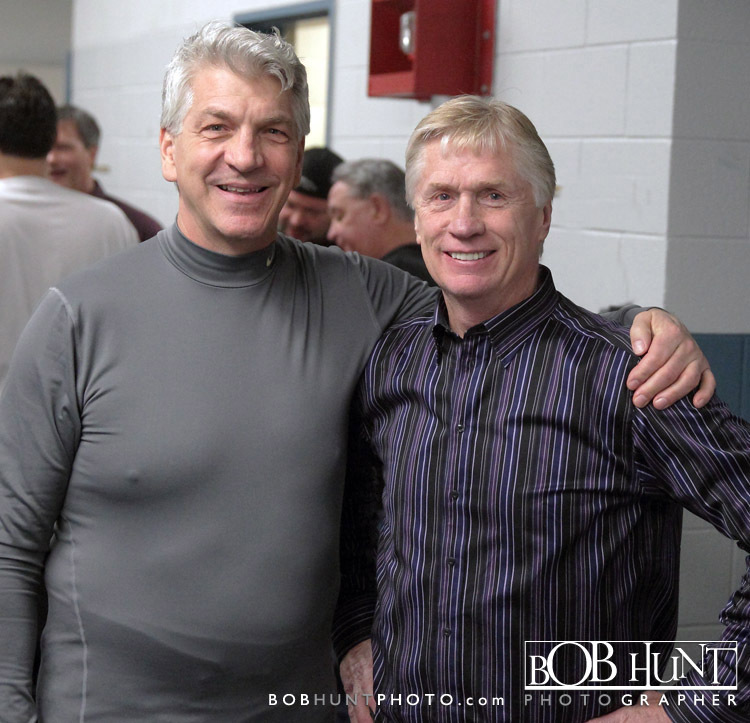 If you would like to contribute, please go to there web-site Skate Strong Hockey. 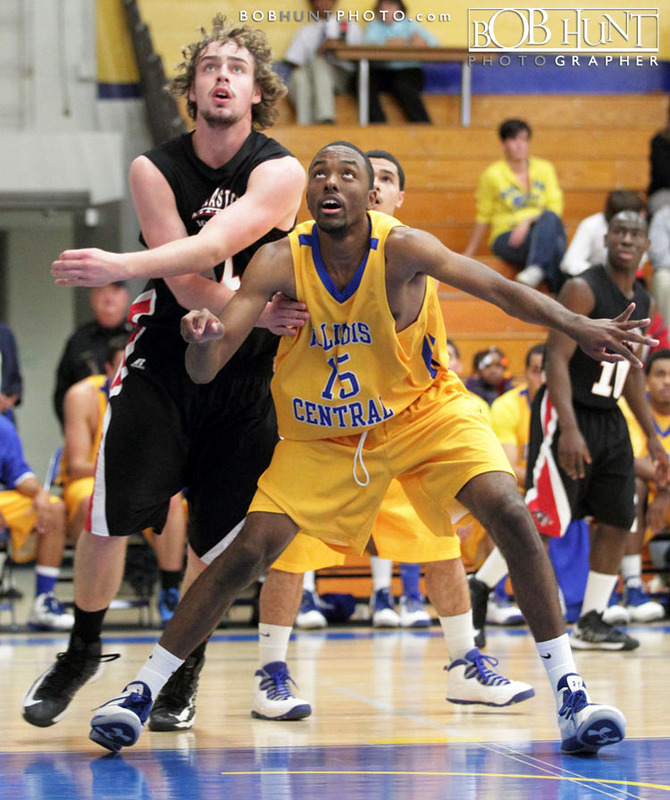 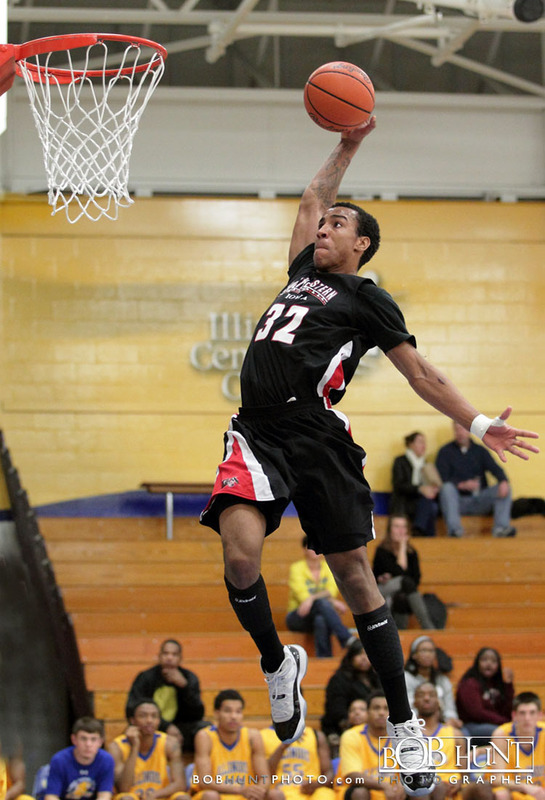 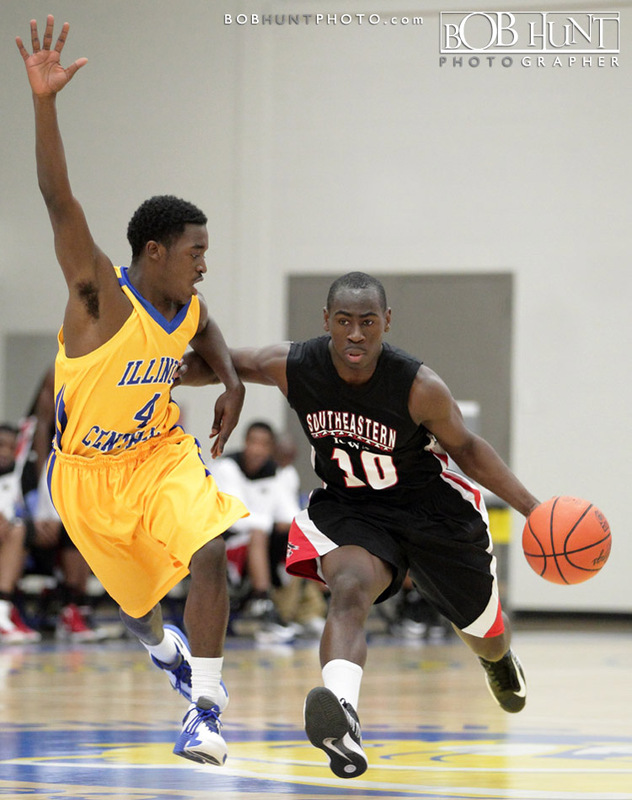 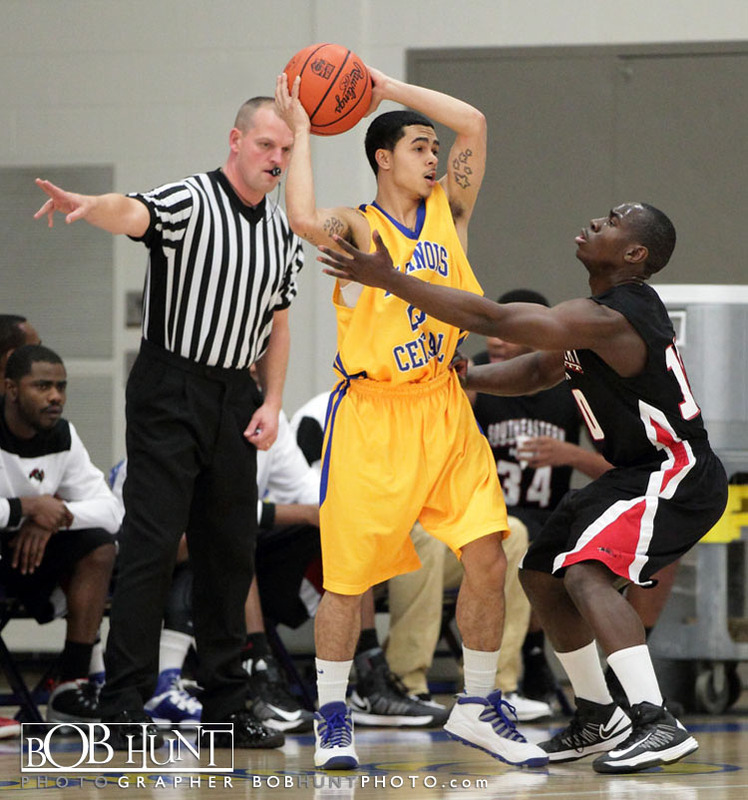 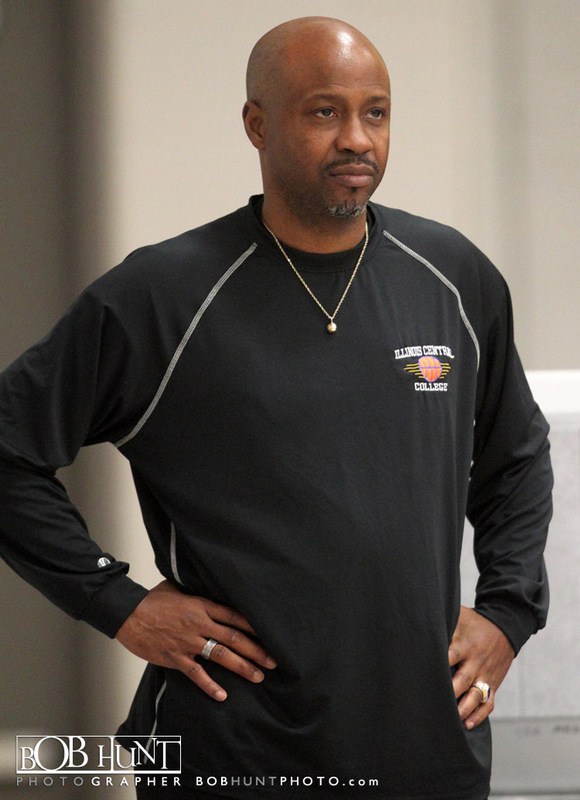 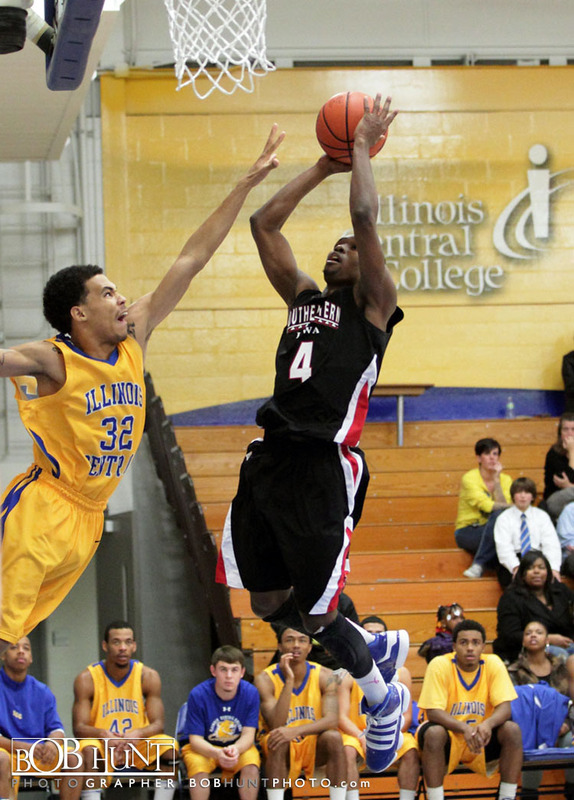 Southeastern Iowa CC defeated Illinois Central College (5-5) 78-66 Thursday night at Lorene M. Ramsey Gymnasium. 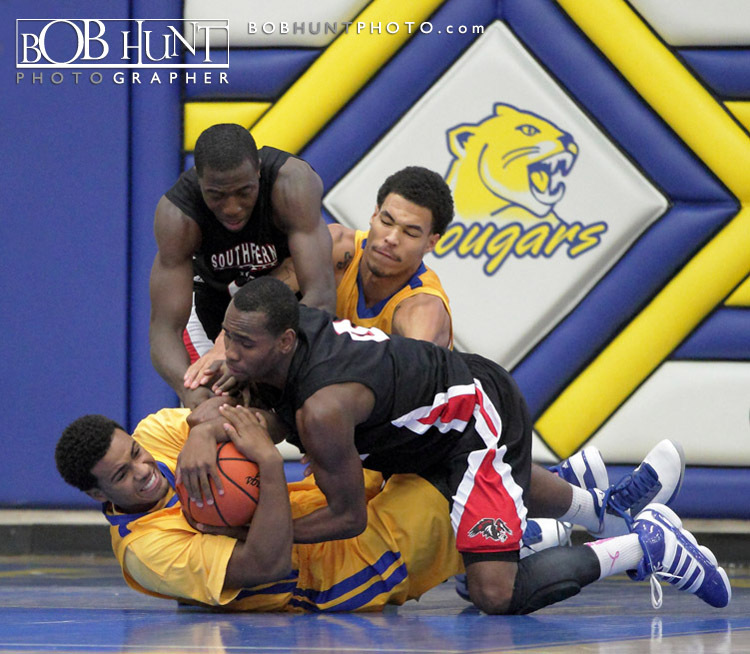 The host Cougars shot just 31 percent from the field and lost the battle of the boards by 21 to the Blackhawks. 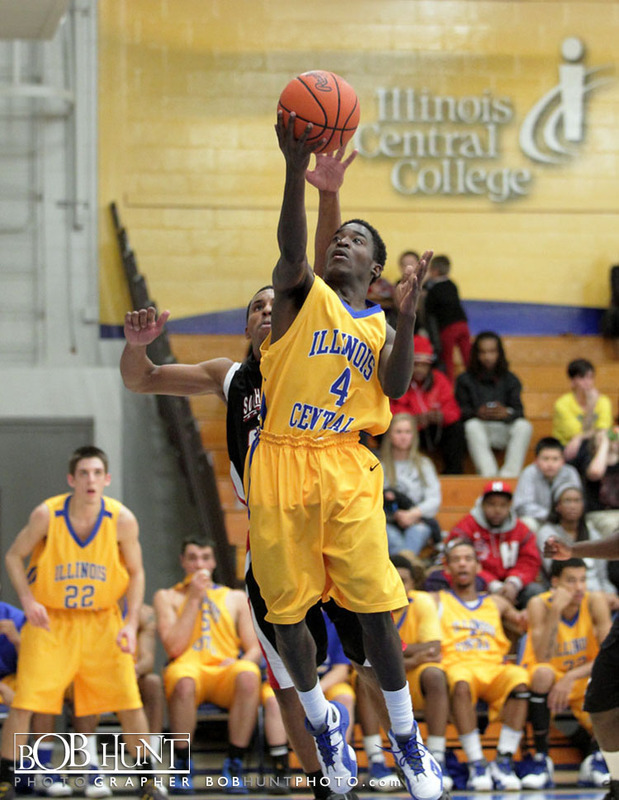 ICC was led in scoring by guards Partice Sanders and Sam Feehan with 14 points each, and freshman center Jordan Seele grabbed 6 rebounds.Southeastern Iowa scoring leaders were Warren Jones with 18 points and Tyrie Orosco 16 points. 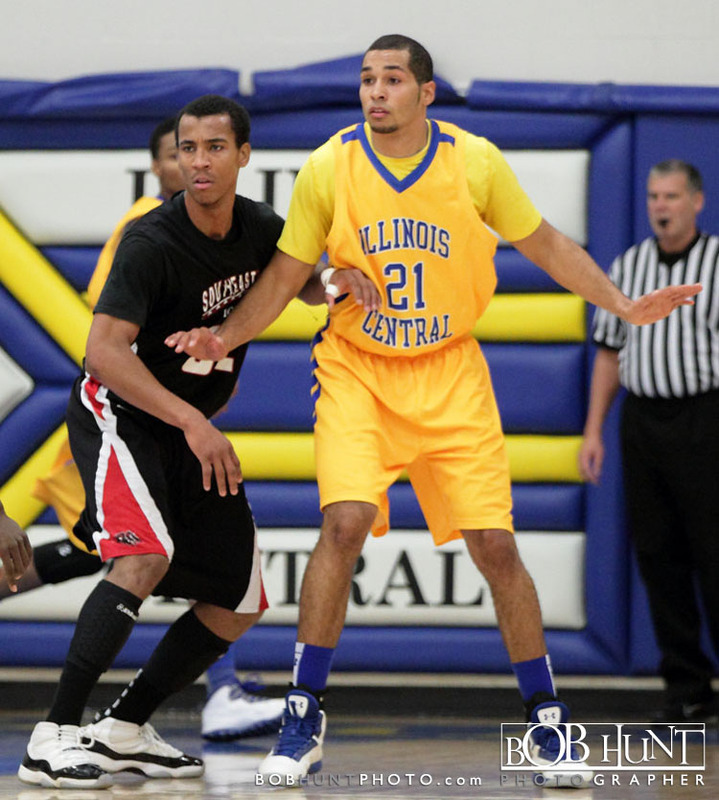 Nick Lyon added 14 points and 15 rebounds in the win.